The Prestige Series brings the legendary excellence of Baldwin into more homes and more hands. With the Prestige Series, any homeowner can instantly create an atmosphere of confidence from the moment someone knocks on the door. 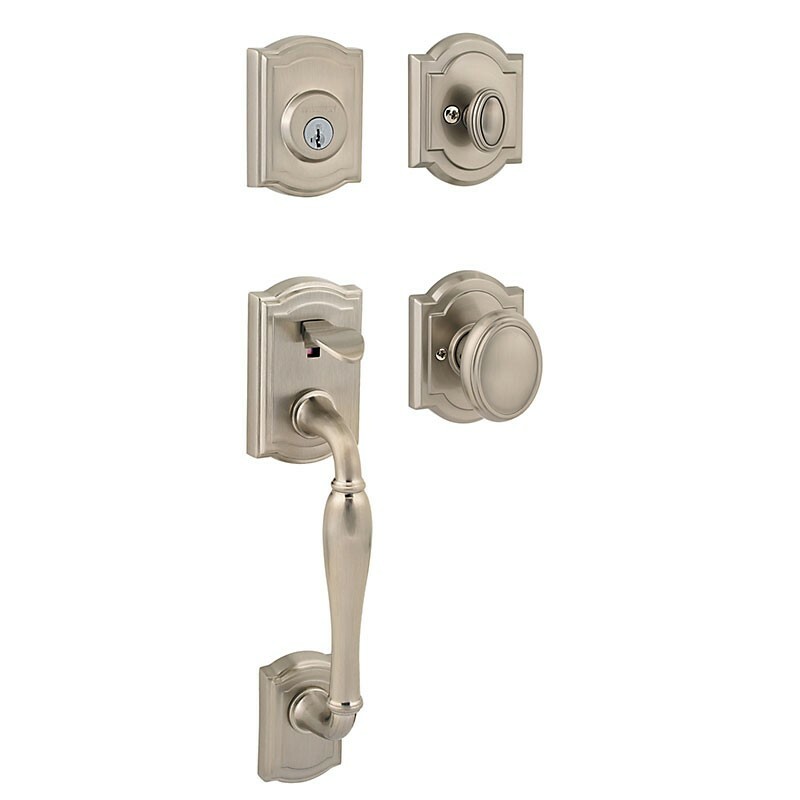 Blending modern technology with luxurious style, the Prestige Wesley handleset with Carnaby knob offers refined styling that's characterized by intricate arches accented with layers of beveling. The crisp, clean appearance of the Satin Nickel finish adds to the overall look of the product and brings a modern feel. It features revolutionary SmartKey Re-Key technology, allowing you to control who has access to your home. You can re-key your lock in 3 easy steps, and there is no need to worry about lost or loaned keys. This improved key control, combined with ANSI Grade 2 residential security rating and patented locking sidebar BumpGuard protection, means superior security and convenience.